1080P Panel PCs drive manufacturing and POS. DSL’s slim-line 1080P fanless Panel PCs are available in a Dual/Quad Core Atom and Core i3/i5 variants, offering full HD resolution for those applications demanding increased real estate without sacrificing their industrial credentials. 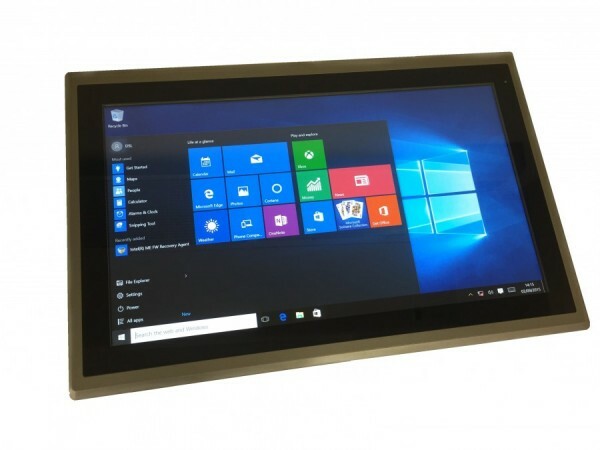 Whether it’s factory floor conditions or unaccountable members of the public you can be assured that the ARCHMI series will live up to its name, with the added bonus of our vandal-proof PCAP touchscreens – which we have demonstrated the robustness of in our video! With aesthetics increasingly vital to our brand conscious world, DSL’s products pay homage to the stunning visuals inherent in today’s smart consumer devices and allow integrators to marry their company branding scheme with our custom bezel colours.